Help me figure out a title! Another image from the James River at flood stage. This image was taken near the canal inlet on the south side of the James River, across from Brown’s Island. There is a small dam in the river to direct water into the canal, which causes the smooth flowing waters of the upstream side of the dam to fall into the chaotic churn downstream. Taken just as the sun was rising over the horizon, the shadow of a tree is cast across the water and the sun’s highlights cause a warm glow across an otherwise cool-toned scene. At the moment, I’m at a bit of a loss as to what to name this image. If you have any ideas, please use my contact form and let me know! Nikon D800 camera, with an 80-400mm zoom lens. 0.8 seconds @ f/40 using a polarizing filter for added neutral density. 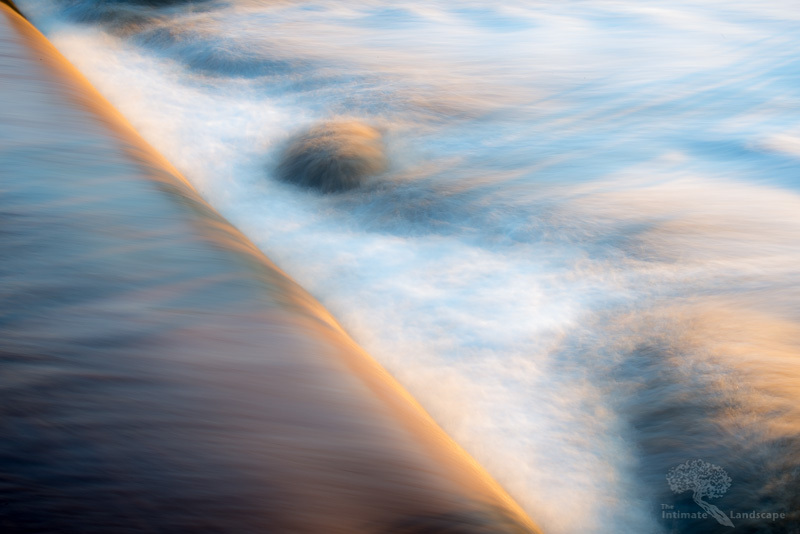 This entry was posted in James River, Landscape Photography and tagged James River, rapids, Sunrise.